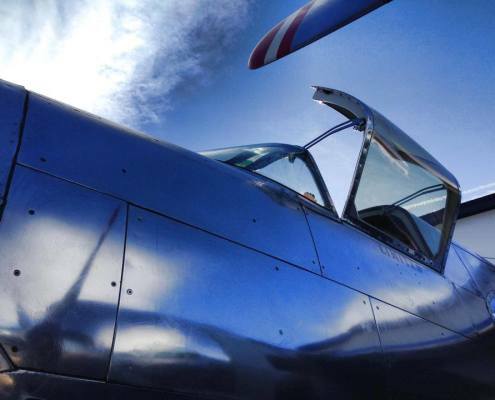 Book a ride in our T-41B Mescalero today! Manfactured in 1967 for the U.S. Army by the Cessna Aircraft Company for basic flight evaluations of U.S. Army flight students and for liason/hack duties. 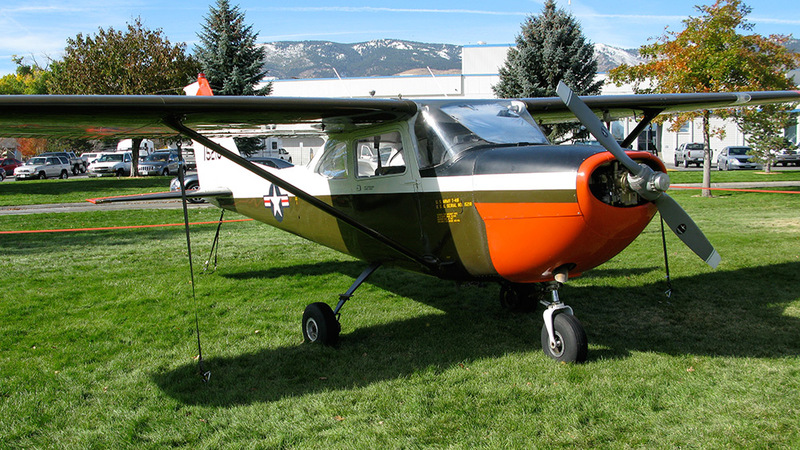 Purchased by the Cactus Air Force in 2002 on a GSA surplus sale. 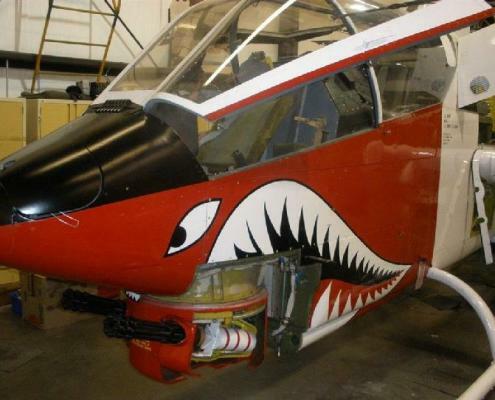 This aircraft was totally rebuilt to airworthy condition and painted to represent the colors that it flew in it’s army career. It is currently being utilized by the CAF in the basic training category for it’s members. 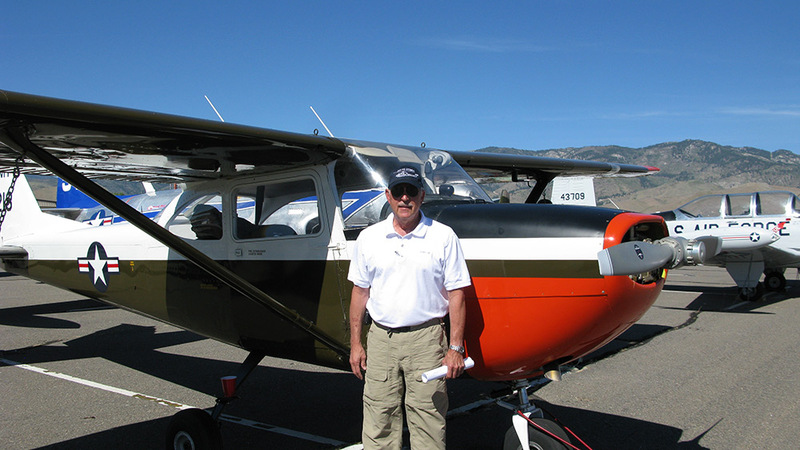 In 1964, the US Air Force decided to use the off-the-shelf Cessna 172 as a preliminary flight screener for pilot candidates and ordered 237 T-41As from Cessna. 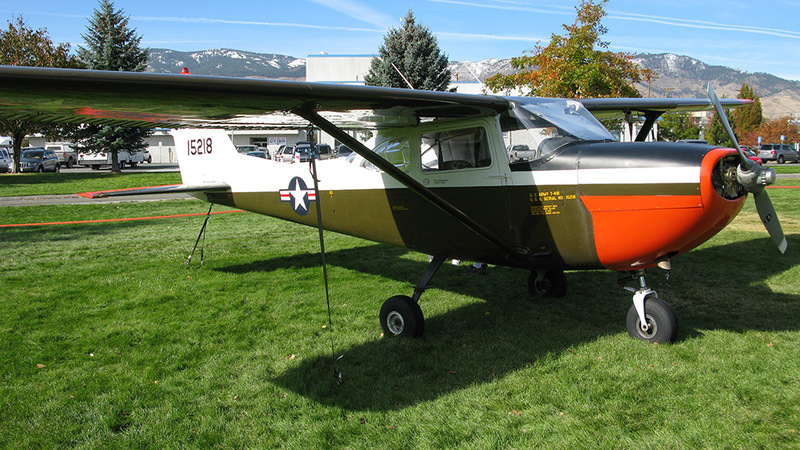 The T-41B was the US Army version, with a 210 hp (160 kW) Continental IO-360 and constant-speed propeller in place of the 145 hp (108 kW) Continental O-300 and 7654 fixed-pitch propeller used in the 172 and the T-41A. 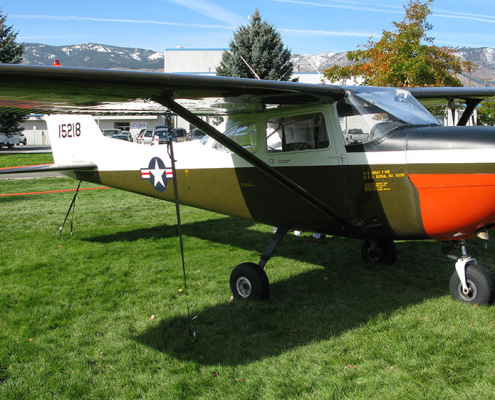 In 1968, the US Air Force acquired 52 more powerful T-41Cs, which used 210 hp (160 kW) Continental IO-360 and a fixed pitch climb propeller, for use at the Air Force Academy (USAFA) in Colorado Springs. In 1996, the aircraft were further upgraded to the T-41D, which included an upgrade in avionics and to a constant-speed propeller. 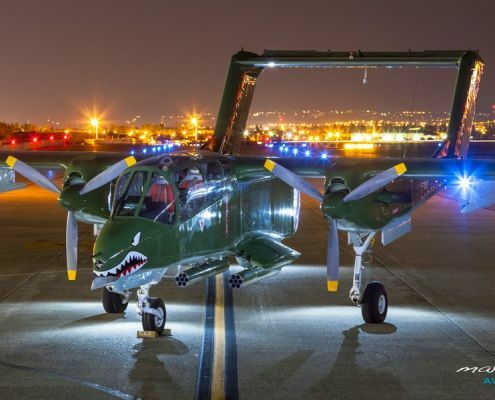 The Air Force now trains through a civilian contract with DOSS Aviation known as Initial Military Flight Screening which makes use of the Diamond DA20. Three T-41s remain at the Air Force Academy in order to support certain academic classes as well as the USAFA Flying Team.